February signifies a big event in the New Zealand calendar. That event is the fantastic, hippyified, spiritual, music and entertainment festival spread over three days. 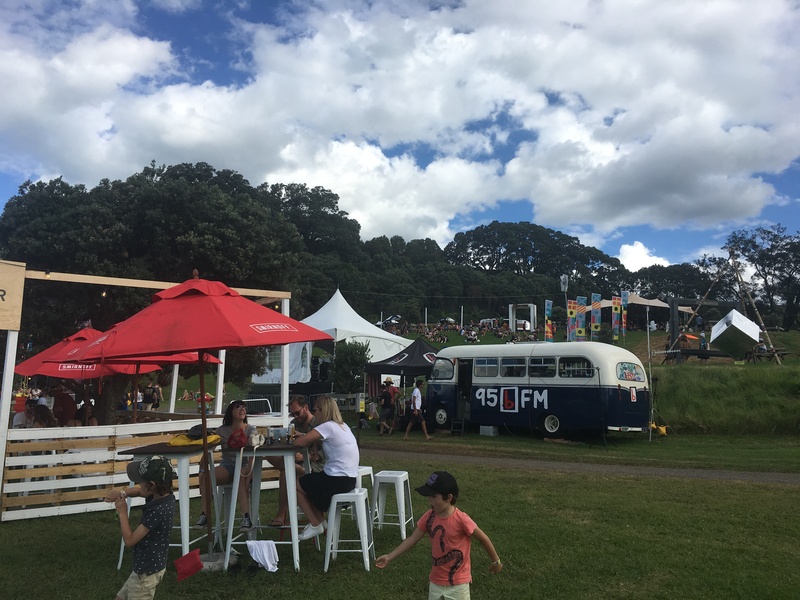 Situated in Tapapakanga Regional Park, it must surely be a contender for the most beautiful setting for a festival in the world. 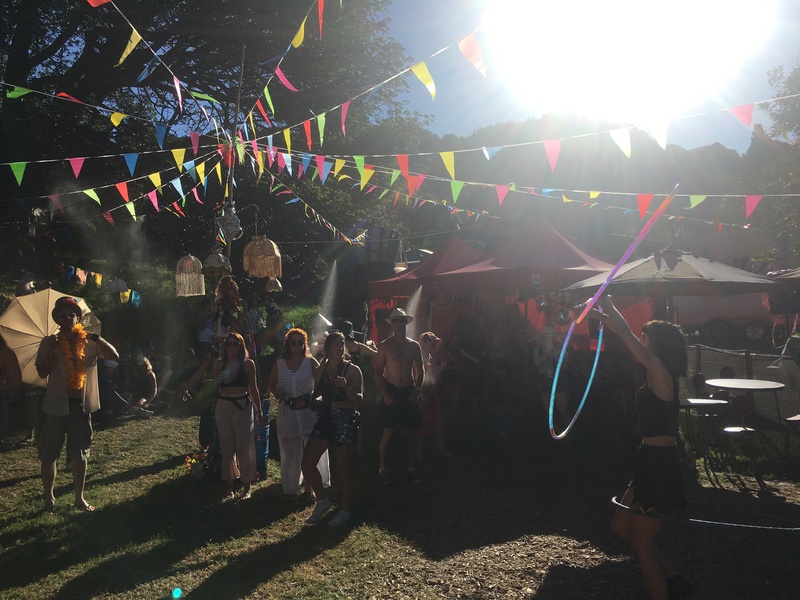 Tickets are available from iTicket – you can purchase your ticket on layby which means as soon as they’re released you can pay a deposit and pay the remainder six weeks before the festival. You must also buy a car parking pass in addition to your ticket which must be displayed on your windscreen. Choose between non-reserved or reserved camping. 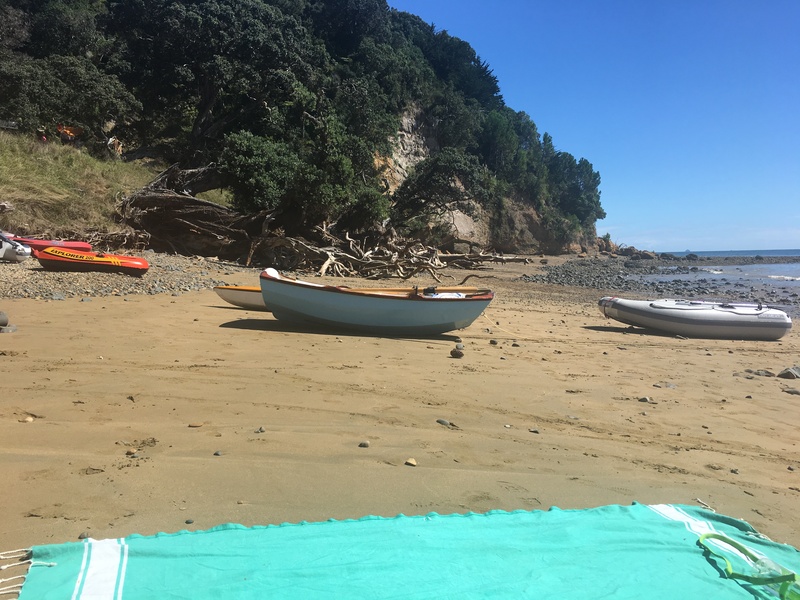 Unless you are going to arrive super early to claim the best camping spot I would go for the reserved option – that way you can arrive at your leisure and know your spot is secured. Another option is glamping and Tepee Life – both considerably more expensive but without the hassle of putting up your own tent. With the glamping site you also have access to your own luxury showers. Most important thing is to fuel up before you go. You have a long day of dancing and drinking ahead of you. 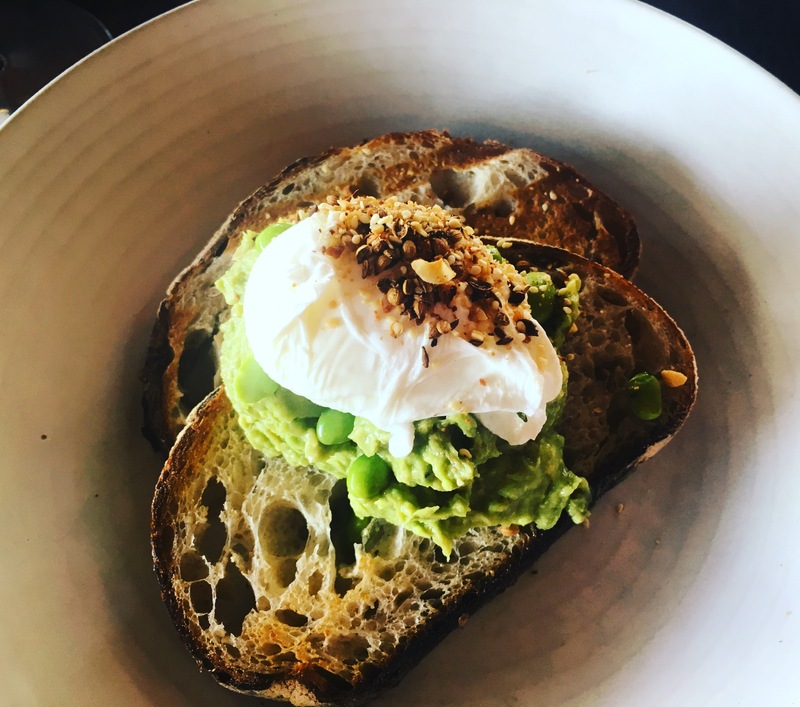 We headed to Circus Circus in Mount Eden for a delicious breakfast of smashed avocado and poached egg on sourdough toast. 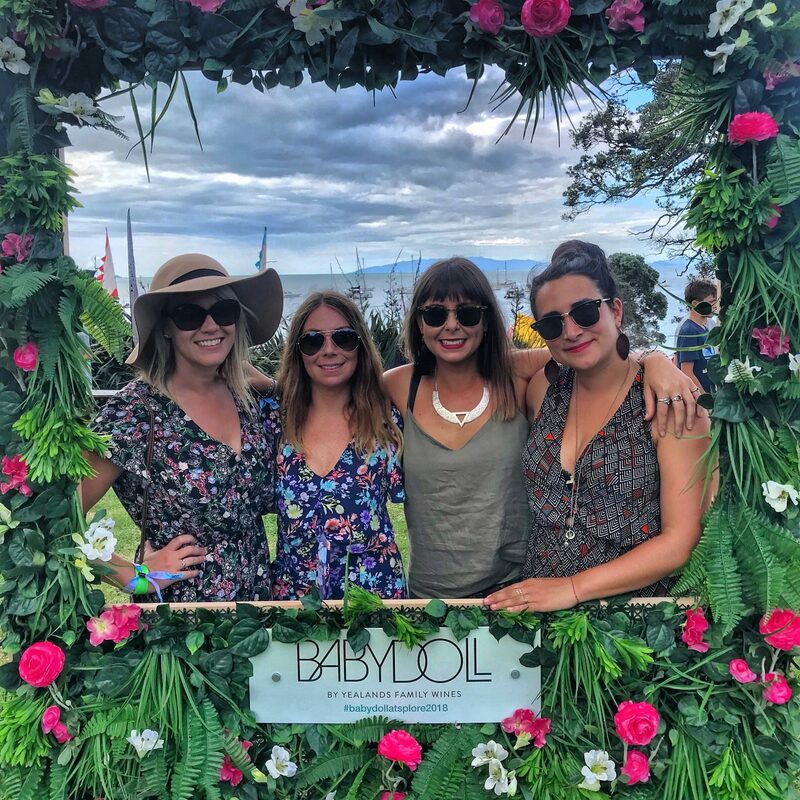 If you carpool and have more than two people in your car then you will get some credit to spend on food and drinks at the festival. We got $35 for having 3 people in the car. If you are not driving there is a subsidised bus from Central Auckland. NO ALCOHOL is allowed to be taken in and your car and bags WILL be searched – it’s just not worth the risk. On arrival you will be directed to park and make your way to the arrival desk where you will be issued with a wristband which has a bar code on it. This wristband is your currency for the weekend. 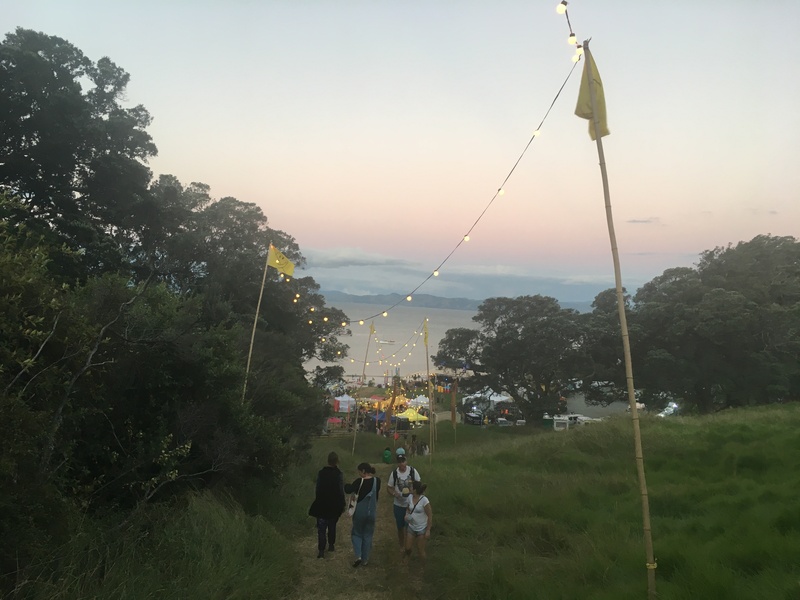 There are Splore Banks all over the site where you can put money onto your wristband. Every time you purchase anything your bar code is swiped. You can also get a cash refund at the end of the weekend if you have any money left unspent. The setting really is spectacular with the beach so close. Nothing sorts out a hangover like a dip in the sea! 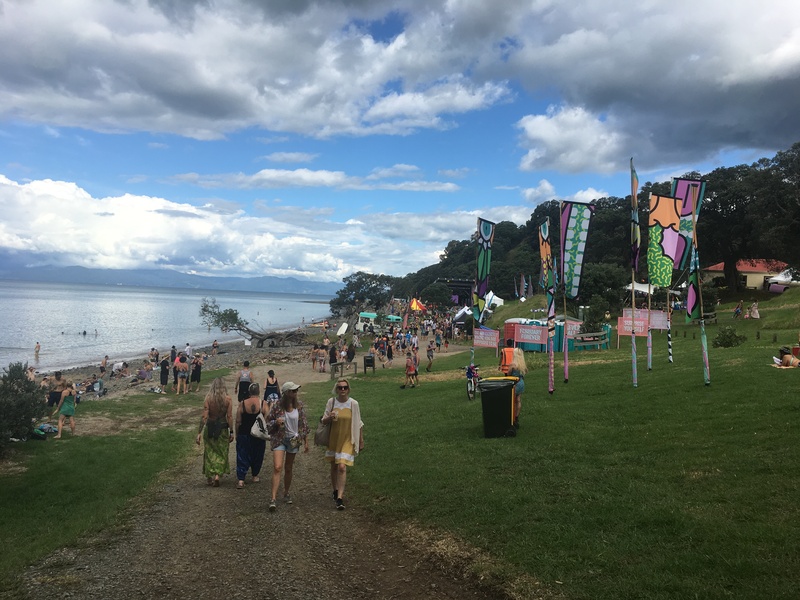 Splore takes place on Maori ancestral land and all guests will be welcomed near the main stage with a traditional powhiri. 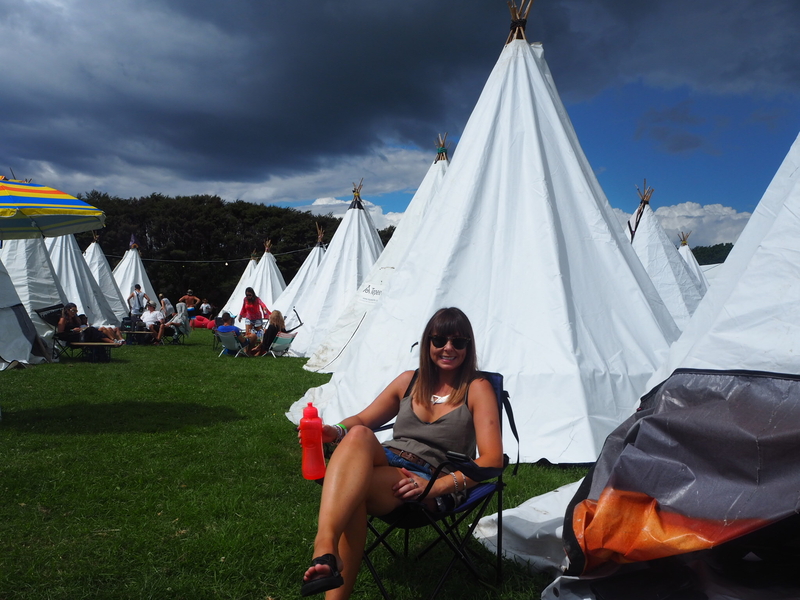 We chose to stay in the Tepee Life area which gave us the convenience of not having to put up our tent and being a bit closer to the action. I do think the tepee was overpriced. It was $1000 and claimed to sleep six people but we don’t think it would have been comfortable with more than three. For the price paid we expected a little bit more luxury. The tepee was bare bones basic and came with a thin foam mattress each and other than that was empty. 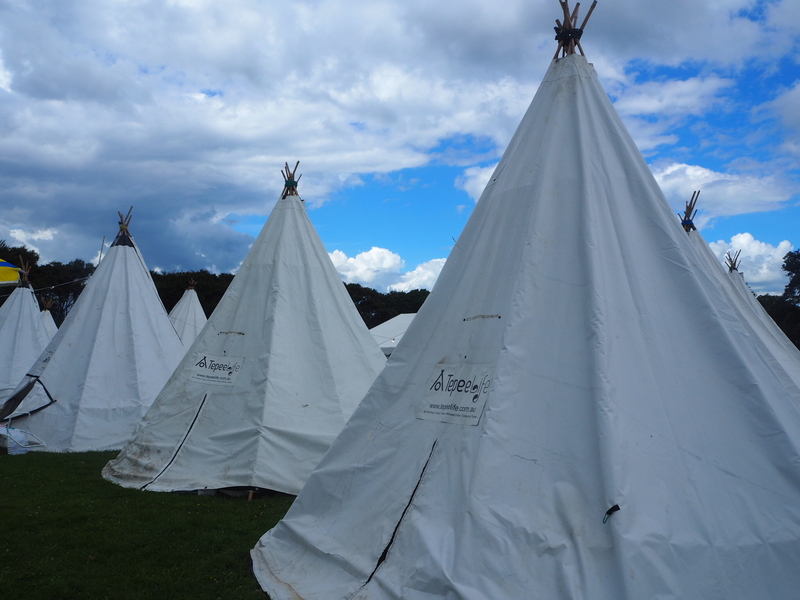 We talked to a few other people staying in the Tepee Life area and they all agreed they expected more for the price. We had a green wristband to gain access but there was no security whatsoever and anyone could wander into the tepee area. 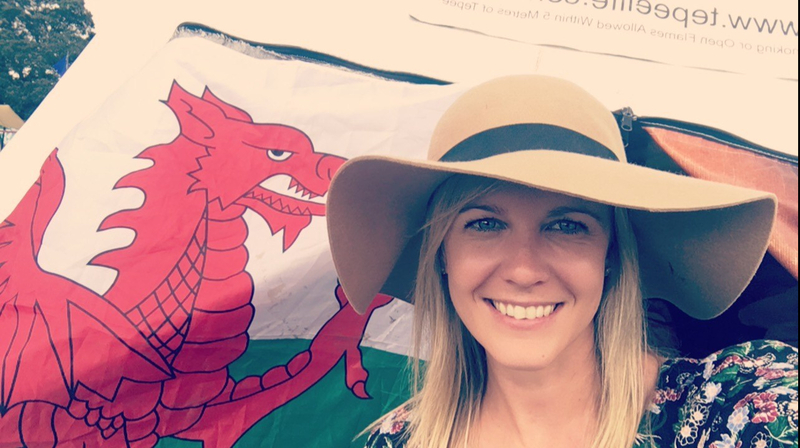 It’s a good idea to take something to identify your tepee – we took our Welsh flag and hung it on the outside so we could find it amongst the many tepees. 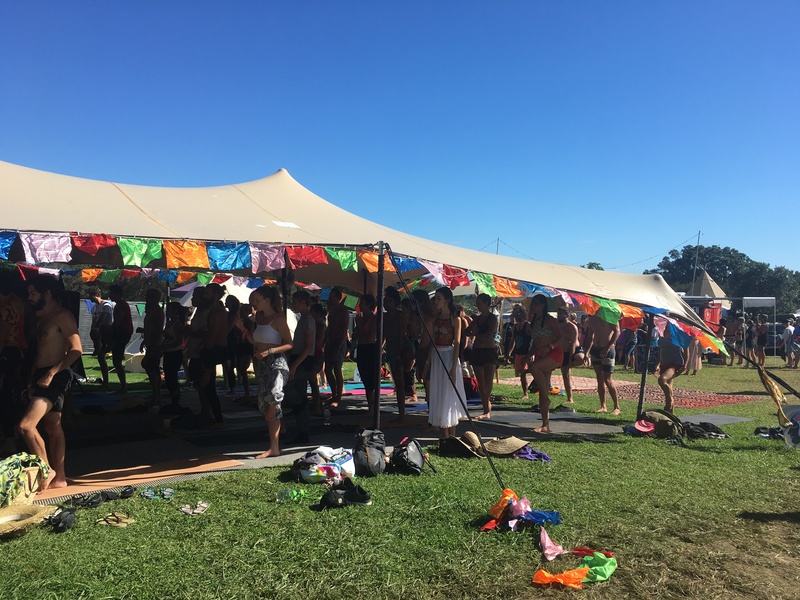 Splore is a really diverse festival with a mix of age ranges – families with children, over sixties, tweens – you name it, it’s all here. 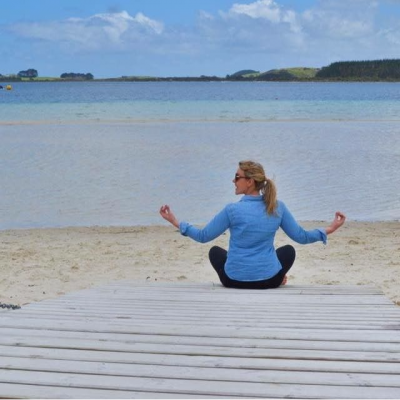 As well as international and national musical acts, there are a range of performing arts and wellness events going on including yoga workshops, massages, reiki, tarot reading and visual arts. The headliner was Dizzee Rascal on the Friday night who performed an amazing set. Anything goes clothes wise so you can feel free to wear whatever you fancy, however the Saturday night is the main dress up party night and a theme is given each year. This year was Mystic Ritual and you are free to interpret that as you wish! 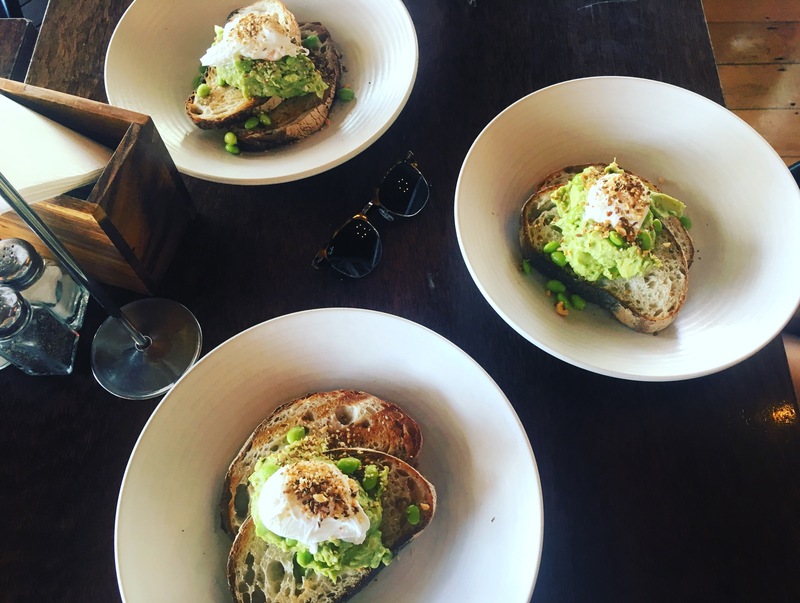 Food and drink options are limitless and cater to all dietary requirements. There were a lot of vegan options so vegans are well catered for here. Food trucks included the likes of Double Dutch Fries, Nando’s, Fatima’s, Dragonfired Pizza and Langos Hungarian Breads amongst others. 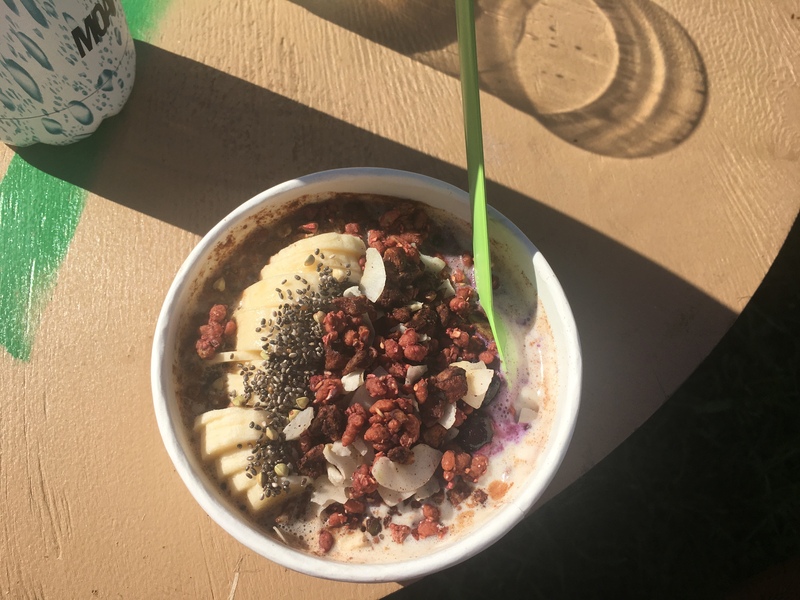 One of the biggest queues in the morning was for the Acai and porridge bowls from Soulfood. 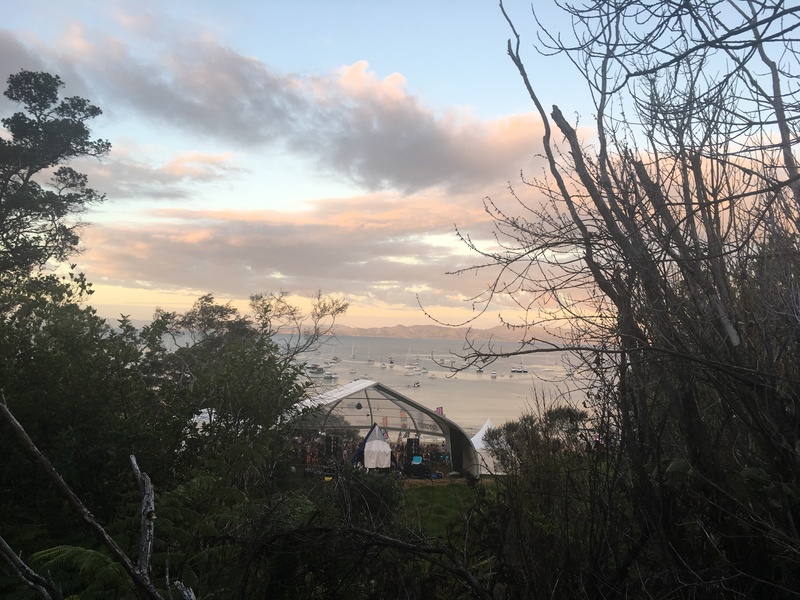 Splore has a policy of ‘Leave no Trace’ and this is really enforced in order to keep the regional park as pristine as it was before everyone arrives. 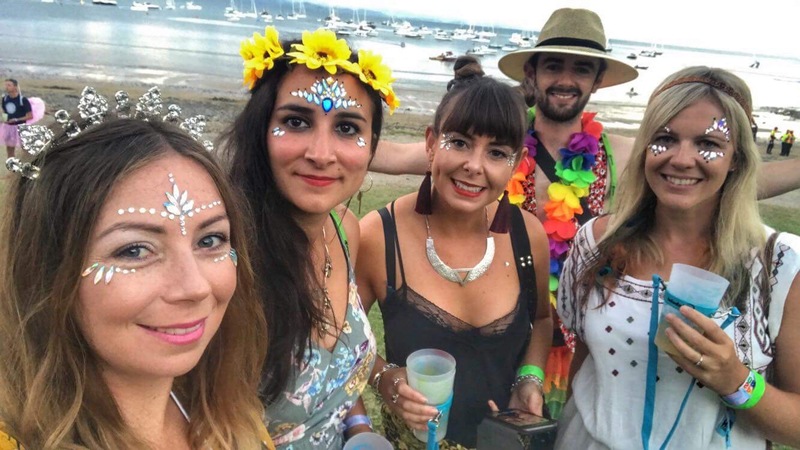 I would encourage everyone to explore Splore at least once in their lives, it really is a magical experience with a great community spirit and atmosphere. What do you think? 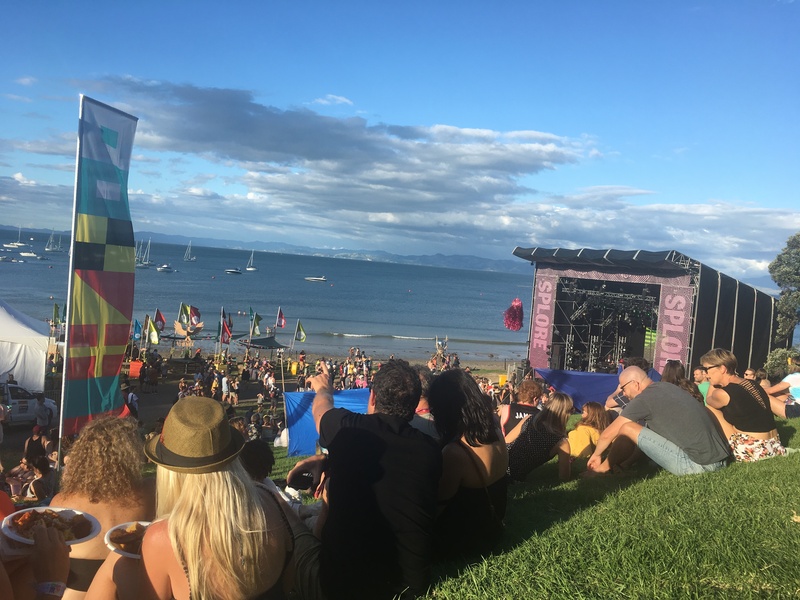 Would you like to attend Splore? Find all you need to know here.